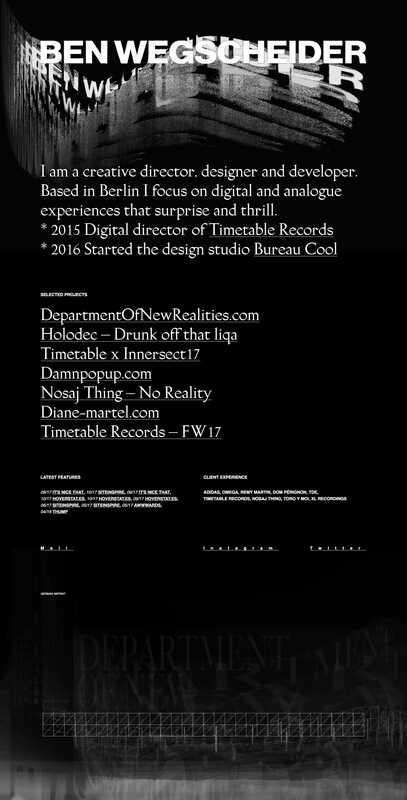 Dark schemed One Page portfolio for Ben Wegscheider featuring arty, interactive hover effects. I am a creative director, designer and developer. Based in Berlin I focus on digital and analogue experiences that surprise and thrill.